There is a new duty felt by teachers at all levels of our education system to make good on the Truth and Reconciliation Commission calls to action, creating both a critically important opportunity and an unease about our preparedness. Nation-wide, there are increasing efforts on the part of many universities, collethoges and schools to “Indigenize” our curriculum and to “decolonize” how we teach. I knew little about this literature, although I did collaborate with Tomson Highway and Patricia Cano on an edited collection about theatre and education long ago. I also introduced some of Tomson’s brilliant plays, like the Rez Sisters, to Grade 11 students in the girls’ school where I taught in the early part of my career. And I have enjoyed the work of other Indigenous theatre-makers like Monique Mojica and Drew Hayden Taylor. Girls at a Residential School, in Fort Resolution, Northwest Territories. The odds of dying for Aboriginal children in residential schools was higher than the odds of dying for Canadians serving in the Second World War. (Library and Archives Canada) CC BY-SA. Kathleen Gallagher is a distinguished professor, Ontario Institute for Studies in Education, University of Toronto. This article was originally published on The Conversation. Read the original article. I feel that a lot of the talk about applying TK is just that – talk. Besides animal migration and plant/resource use, I don’t see TK being applicable to many biology fields. Where I research, there is very little TK concerning microbiota. While it looks great and progressive to include TK in my research grants, it is basically a buzz word appeasing certain people. Yes, there is taxol etc., but we need more concrete examples (i.e. : not just pharmaceuticals) of success achieved through the application of TK to the western scientific paradigm. Hand-waving about the merits of TK without any substance to back it up just reeks of politics to me, not science. I notice that a good many published pieces on indigenous matters now state quite confidently that the Indian residential schools had a devastating effect on Canada’s native communities, as if this was a clearly proven fact. But a close look at the subject reveals that there has actually been no scientific study (using data, looking hard at all evidence) that shows this. 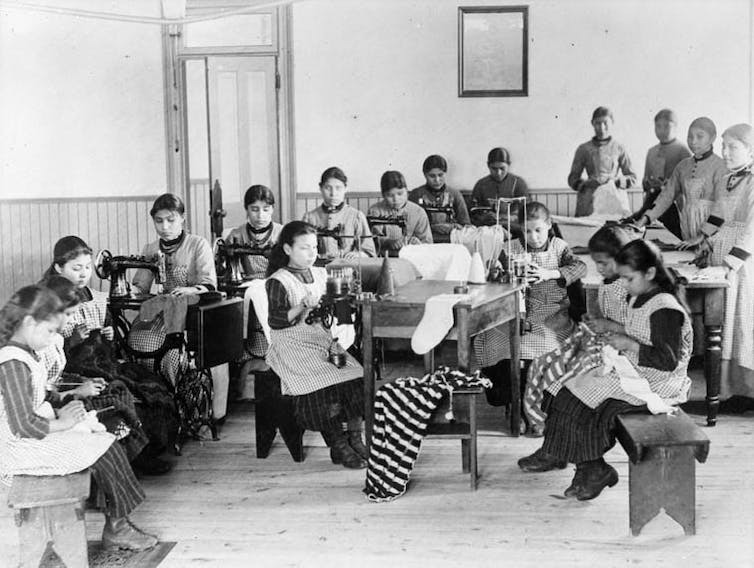 Only about 1/3 of native children during the IRS period attended a residential school for even one year, the average length of enrolment was between 4 and 5 years, some children were miserable and suffered abuse of different kinds but other did not, some schools forbade students to speak their native language but others did not, some former students had their lives ruined by IRS enrolment but others benefited and flourished. No serious study has shown that, had there been no IRS system, indigenous Canadians would be better off today than they are. Other, far more powerful factors like poverty, marginalization and, yes, lack of education are at the root of the problems facing native communities today. Those should be the focus of our attention, not the residential schools. I’m sorry, but you think residential schools have nothing to do with the poverty, marginalization, and lack of education in certain Indigenous communities today? It was a brutal system that took kids away from families. Even for a single year – that would have a devastating effect. And this went on for generations. I have encountered few Indigenous people who were not affected by it (e.g. had a relative in the schools). Ever heard of intergenerational trauma? I have also met several settler people who had someone close to them involved – as teachers, principals, etc. So, yes, we should be looking at poverty, marginalization, and a lack of education, AND we should be looking at residential schools, AND we should be looking at how those things are related. If you require a “scientific study” then please, by all means, create one and then we can talk about it. It won’t show that had there been no IRS, Indigenous communities would be better off, because no scientific study can travel back in time and change events to show how outcomes would have differed. By the way, education is, in many cases, a treaty obligation that was to be provided within communities, not at some distant institution.